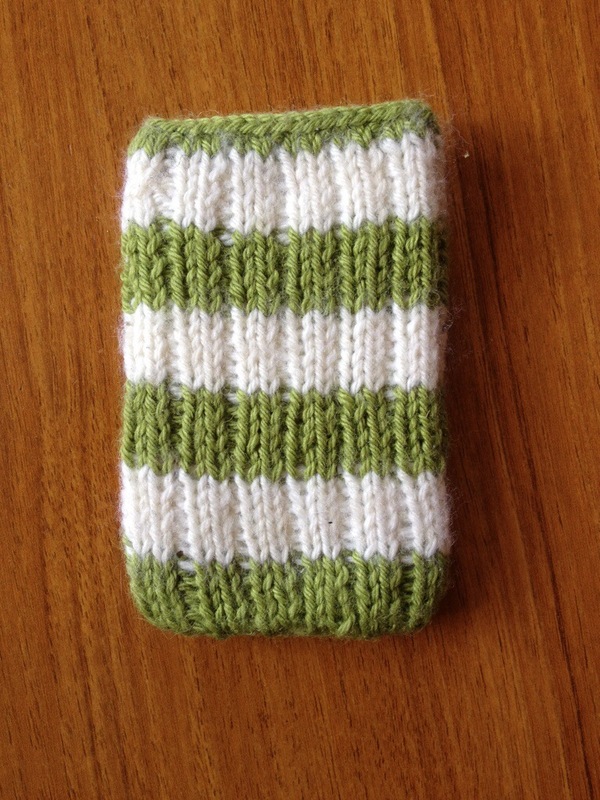 Over the last few years I have made quite a few phone cases. The first was for my HTC legend – 3 and a half years ago. 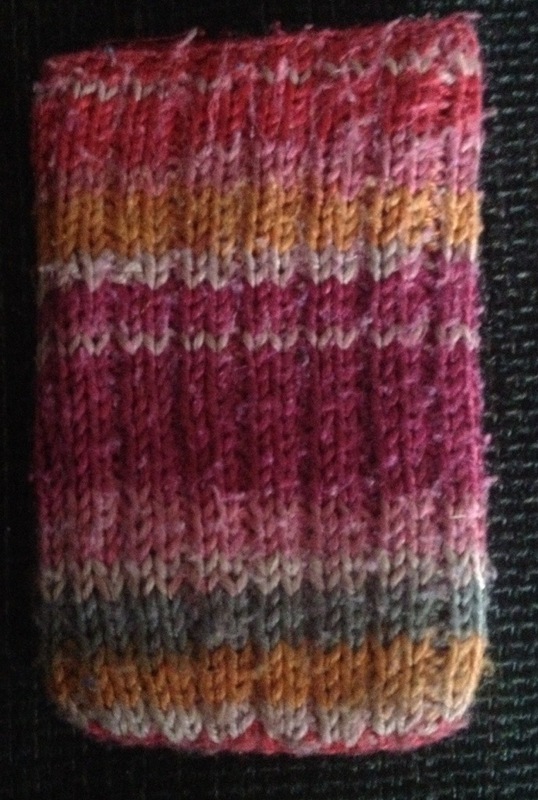 I knitted this up quickly using rainbow yarn and then lined with felt. Since then I’ve changed to an iphone, yet the very same case has carried on. 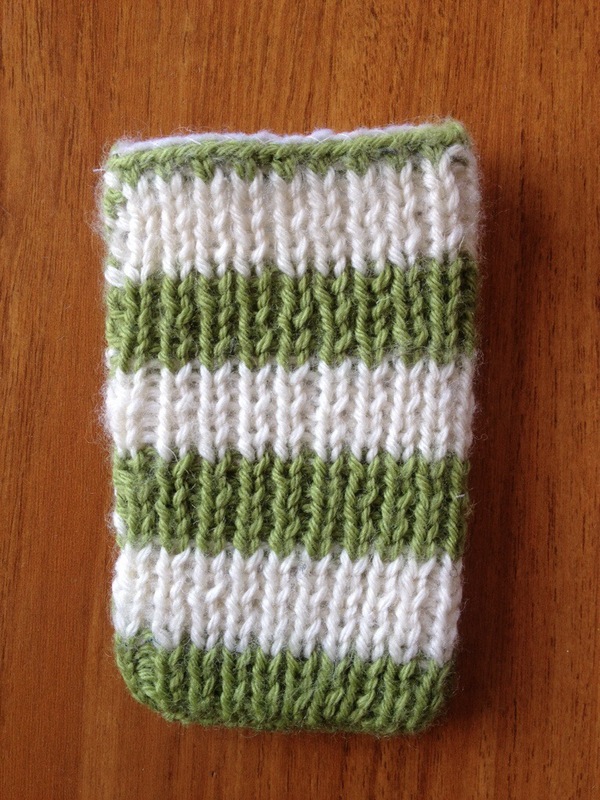 At some point nearly all the family have had a knitted case for their phone. I’ve also made some football team themed cases for the men. 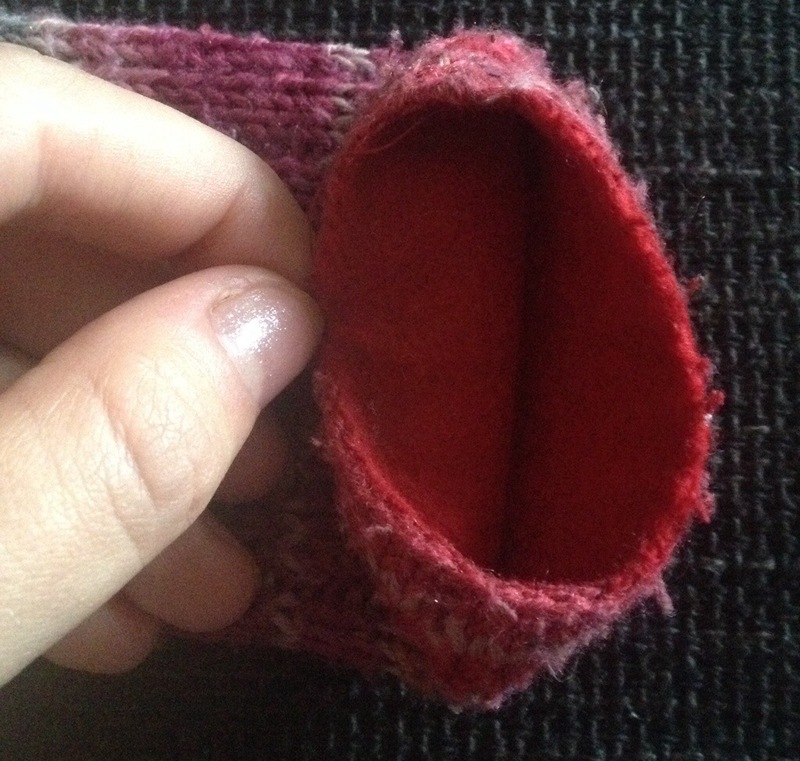 The first are single and double rib case for iPod touch and blackberry for my dad, once again with a hand stitched felt lining. 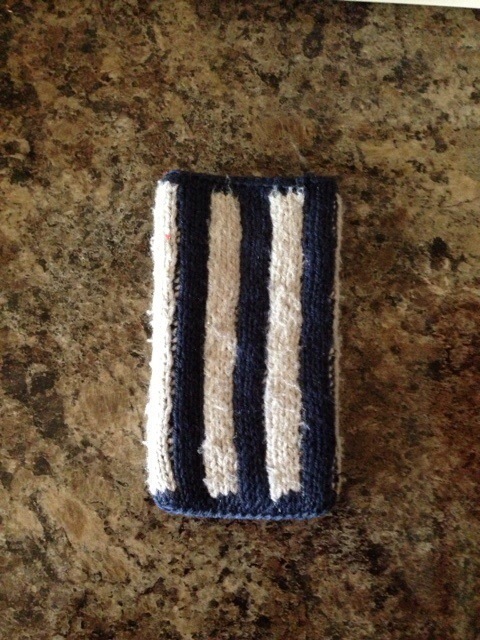 There have been two iterations of a west brom case when the boyfriends dad upgraded to iphone 5, the latter shown below in my first attempt at circular knitting. 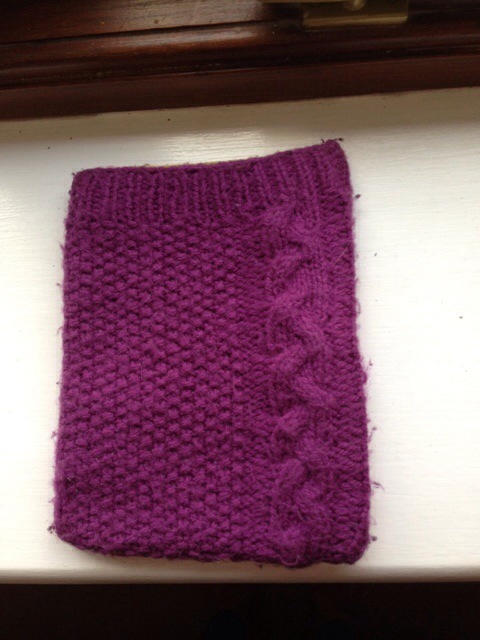 Recently I’ve moved into also making kindle cases. The first was to go with an actual kindle as a 21st birthday present for Tim’s sister. I started midweek and was still finishing it in the car and on the morning of her birthday! 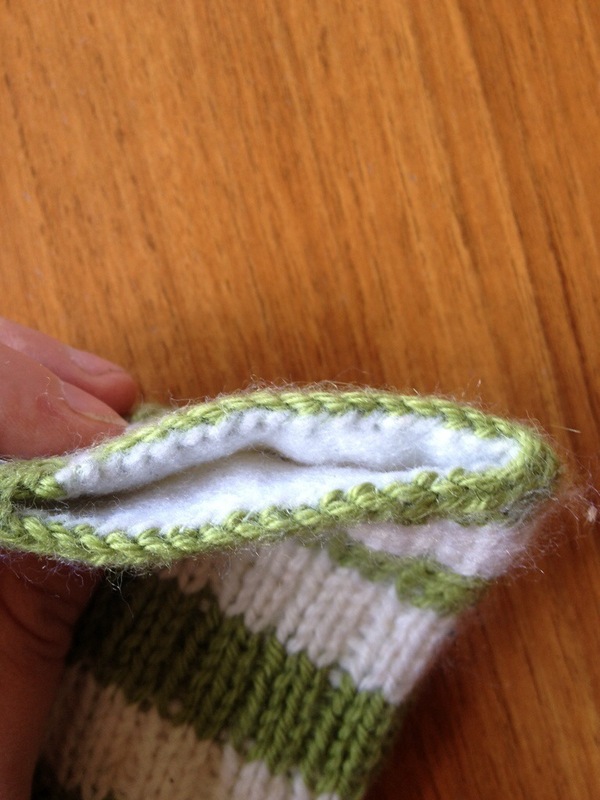 It has a bright yellow hand stitched felt lining similar to the phone cases. 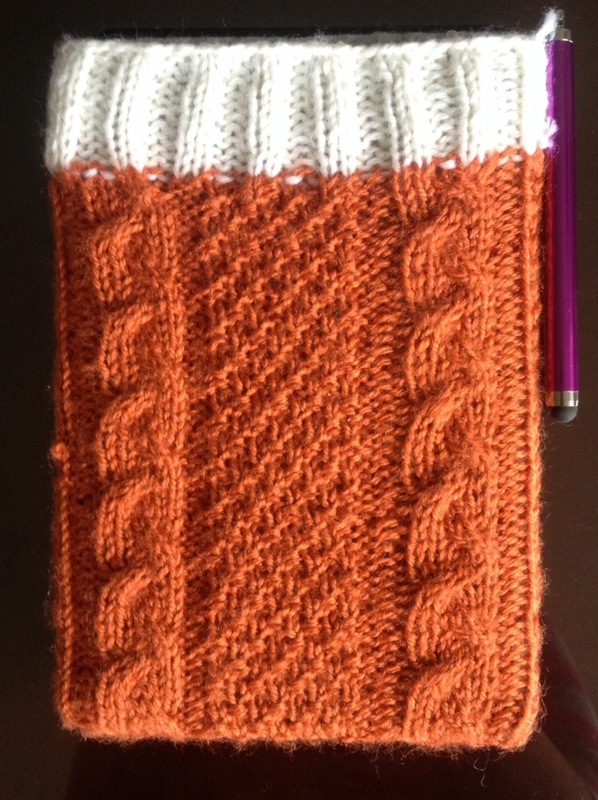 And finally a kindle fire case for Tim’s grandma. A similar format, with a grey felt lining. I am now selling custom made and unique phone and kindle cases or other gadgets! No two will be exactly the same!